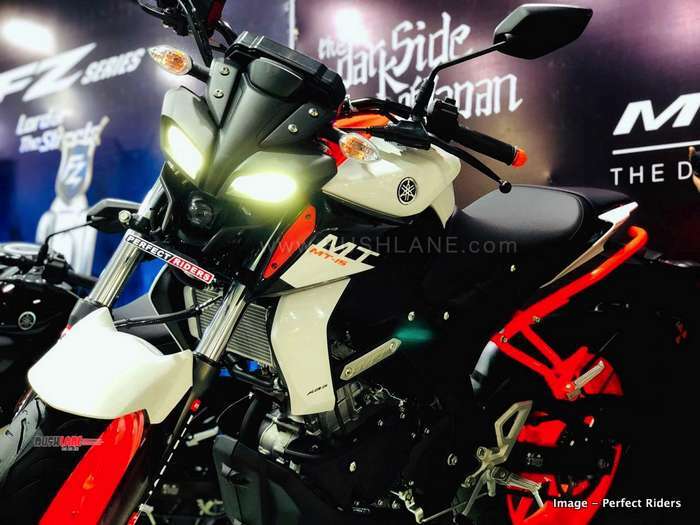 Yamaha MT-15 street-fighter is the newest and the most affordable addition to MT range, at Rs.1.36 lakhs. 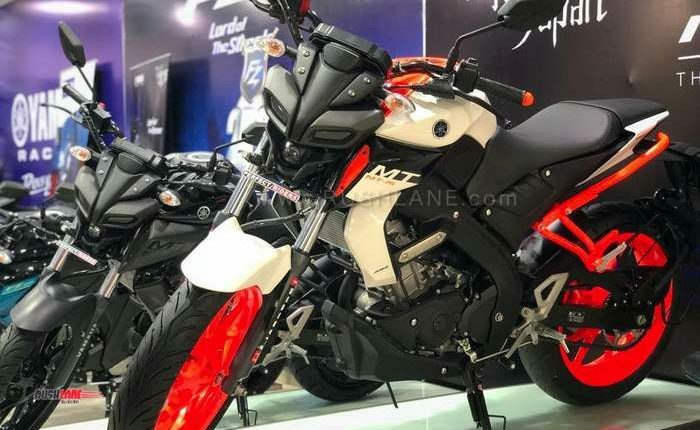 Yamaha Motors India have lauched the new 2019 MT15. This street fighter motorcycle is the newest and most affordably priced addition to the company’s MT range which also includes the MT-09. 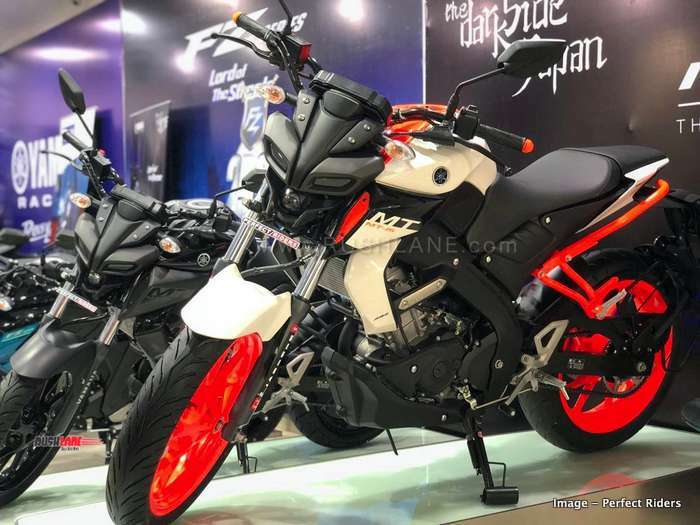 MT15 is priced at Rs.1.36 lakhs, ex-sh which is more expensive than the FZ-15 by Rs.40,000, but more affordable as compared to the R15 V3.0 by Rs.3,350. 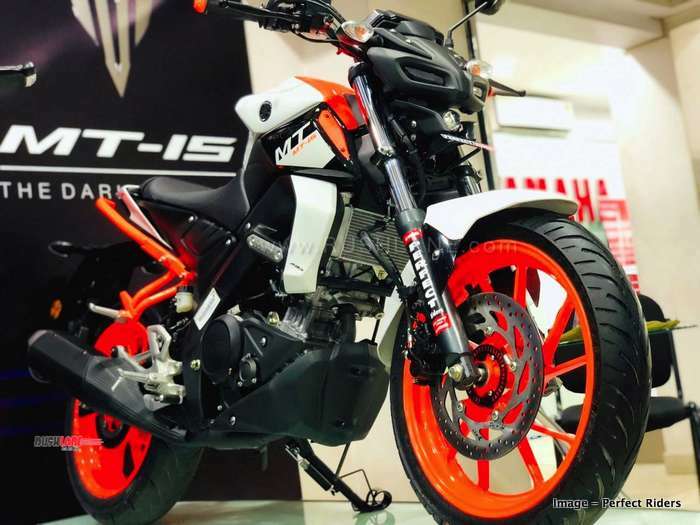 In terms of features, the new Yamaha MT15 misses out on a lot as compared to its international spec model. 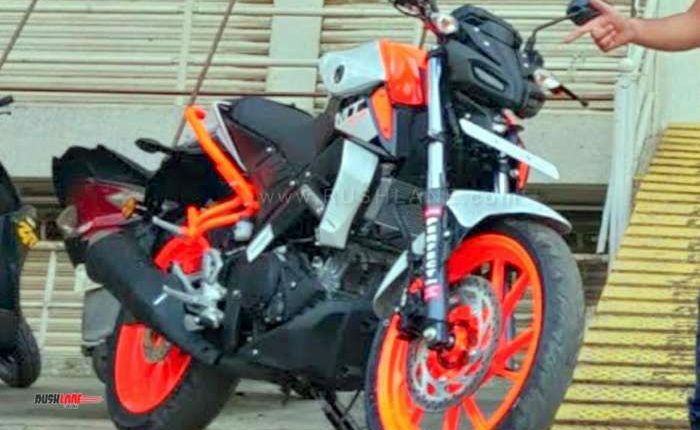 The model on sale in India gets conventional telescopic forks as against USD ones seen on the model sold in global markets. 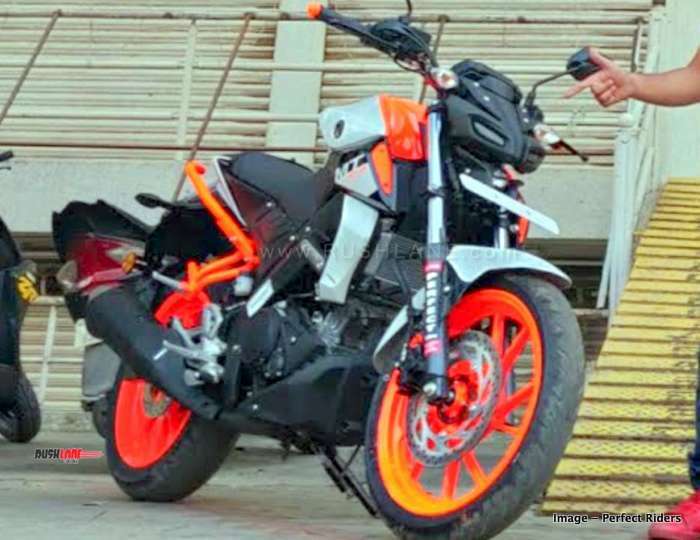 It is seen with monoshock at the rear while braking is via disc brakes on both ends. The MT-15 also misses out on dual channel ABS set up and gets only single channel instead. 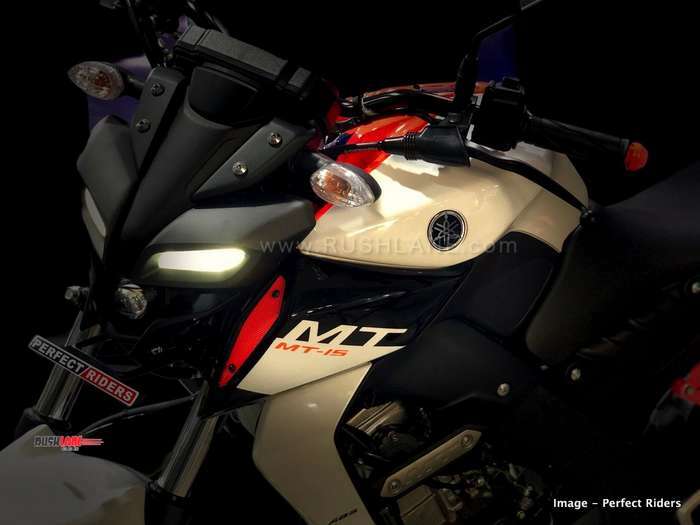 Yamaha MT15 in India is offered in colour options of Metallic Black and Dark Matt Blue – in just two colours. Missing are the multiple colour options, which are on offer in markets abroad. 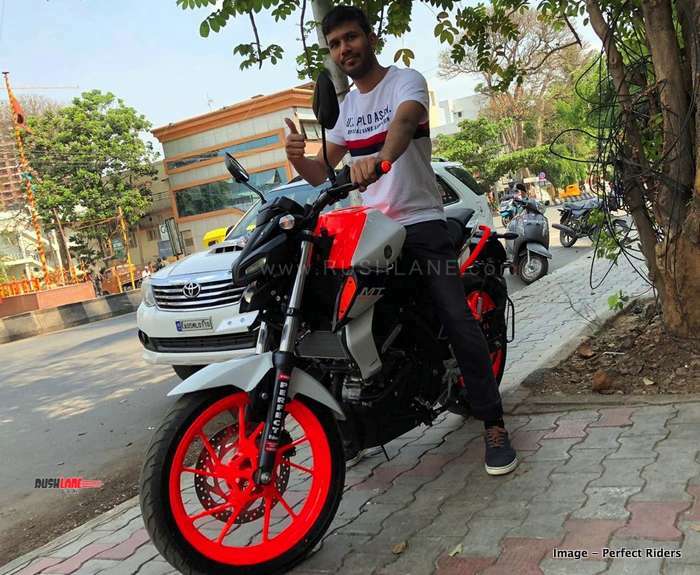 But one authorized dealer of Yamaha India, is ready to modify the bike in the colours of your choosing, for a sum of Rs 20-25k. 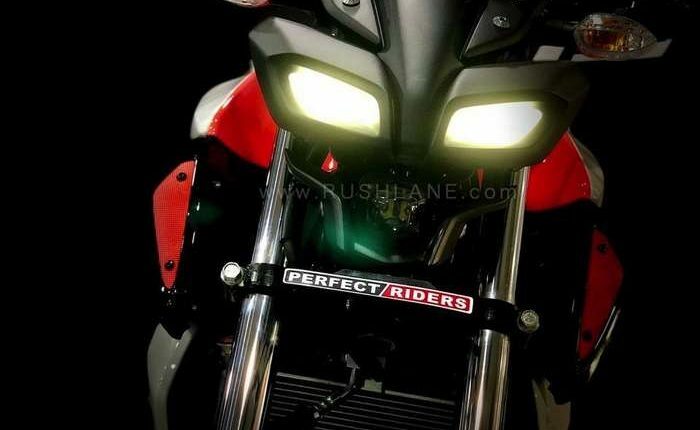 More details in the video below by MysticRider Prateek. 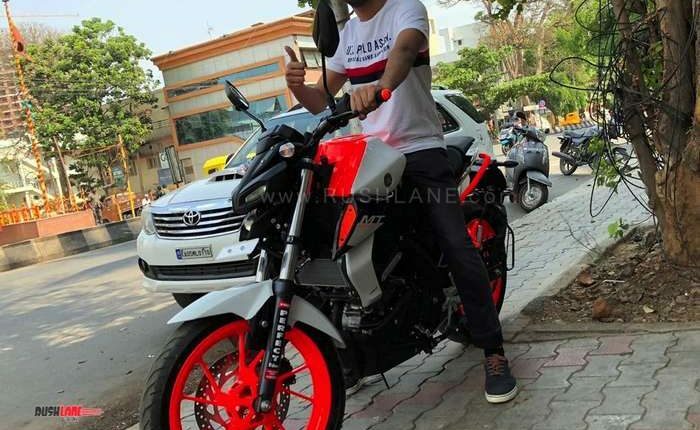 Last week we had shared photos of Yamaha MT15 modified in Black and White, by a dealer in Maharashtra. 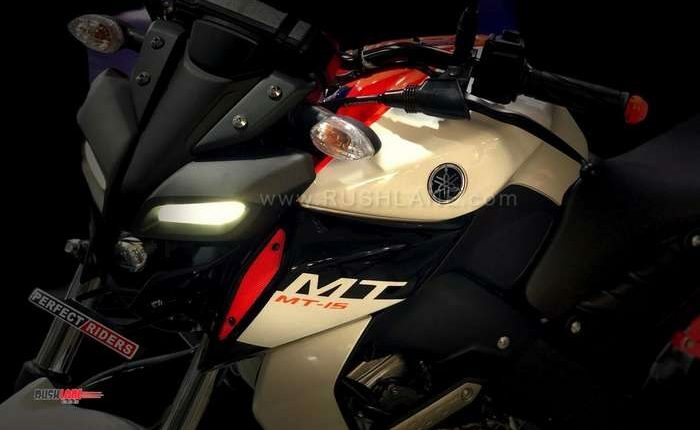 Now Perfect Riders, a Yamaha dealer in Bangalore, has offered custom colour options of MT15. 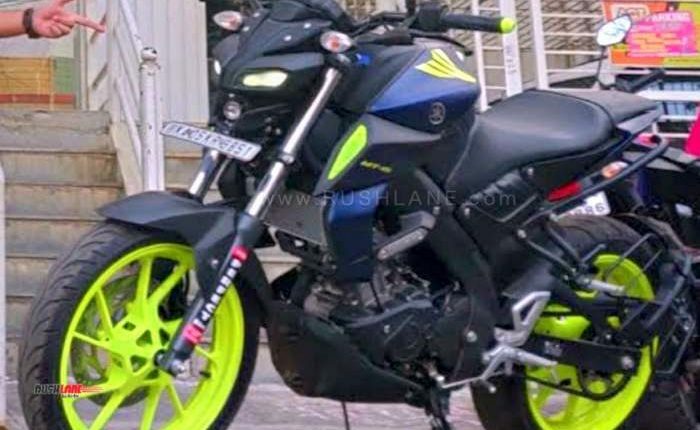 The dealer is also going to get the colour options certified from the RTO, and get the same mentioned on the RC – thus making the mod-job RTO certified. 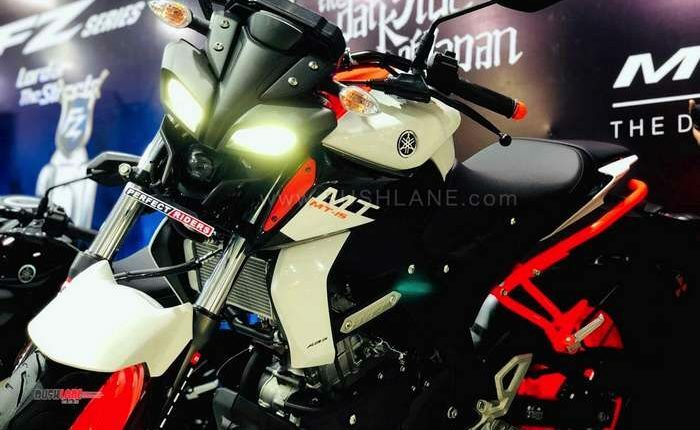 Sharing most of its design with the fully faired R15 V3, the MT15 sports LED projector headlamp, a sculpted 11 liter fuel tank with tank extensions and a wide handlebar. Dimensions stand 2,020mm length, 800mm width and 1,070mm height with wheelbase measuring 1,335mm. 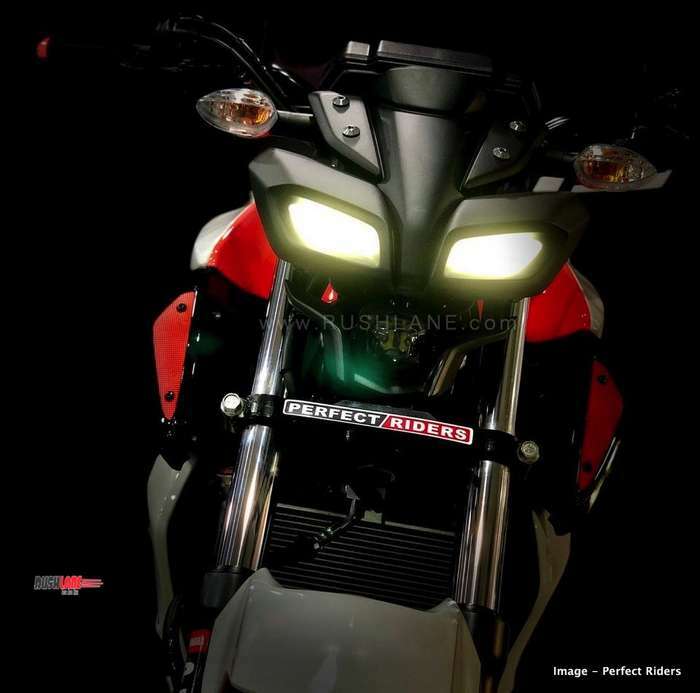 Ground clearance is at 155mm, kerb weight is at 138 kgs and seat height at 810mm. 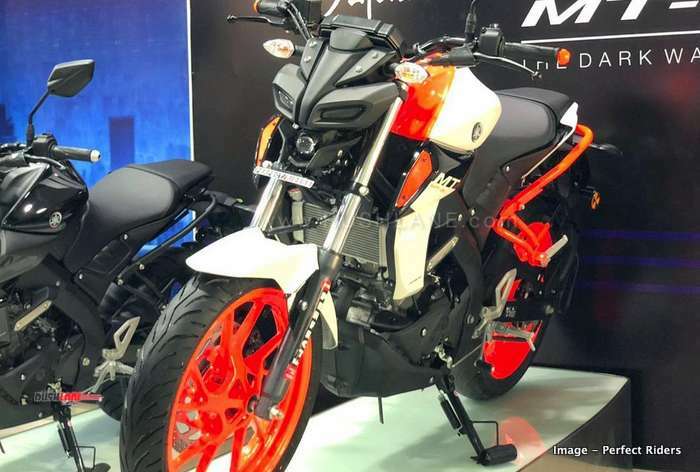 Engine specifications include a 155cc, single piston, liquid cooled engine with VAA technology. This setup is same as seen on R15 V3. 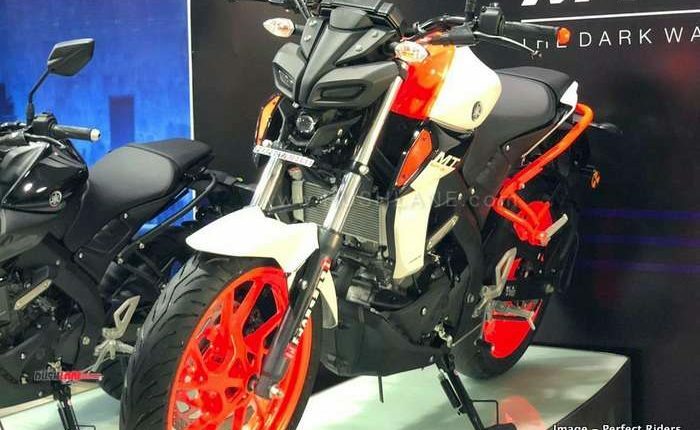 This engine offers 19 bhp power at 10,000 rpm and 14.7 Nm torque at 8,500 rpm on the MT-15, and mated to a 6 speed transmission. 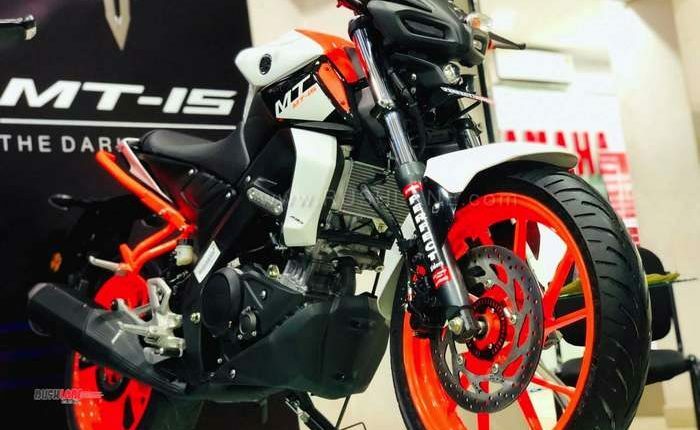 This engine allows for a top speed of 130 kmph. 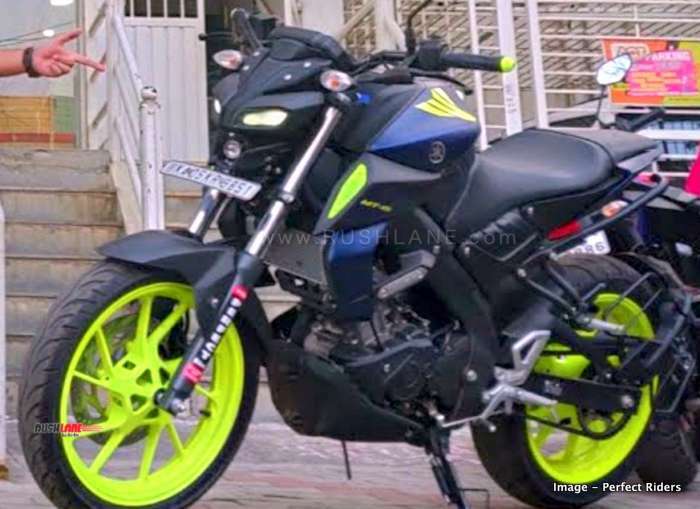 Yamaha MT-15 is positioned as a premium offering and competes with the KTM 125 Duke, Bajaj Pulsar NS200, etc.